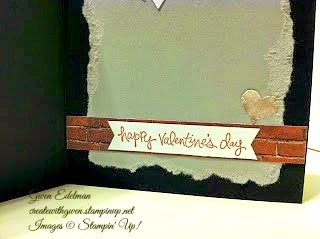 Create with Gwen: Happy Valentine's Day Hubby! Hubby's Valentine! Shhhh, don't tell him yet! 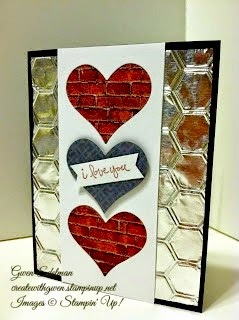 Ran a piece of aluminium foil in the Honeycomb Embossing folder through the Big Shot! I've done this technique using the Chevron folder before, but think I like this one even better. Happy Valentine's Day everyone! Enjoy and stay warm!